Billy Goat Tavern is one of Chicago's most famous establishments. It has been around since the 1930s and now has several locations throughout the city. When first walking into the restaurant, you get that diner feel... a counter to order food, self serve condiments, and plenty of memorabilia lining the walls. Two historic events have made this restaurant famous--the SNL skit and the Billy Goat Curse. Just check out their website for more information. In terms of food, however, it isn't bad. In fact, I would call it average. The burgers are cooked on flat top grills and are reminiscent of childhood eats. The staff is friendly enough, but you still get the diner-like attitude. The fries are awful (no wonder everyone orders chips). After plenty of thought, the experience is worth the visit, but the food is only worthy of a 3 mile rating. The first part of the skit goes... Cheezborger, Cheezborger, Cheezborger. So a double cheezborger must be even better. This burger is cooked to order on a flat-top grill and topped with American cheese. The condiments are all self-serve with pickles, onions, mustard, and ketchup. I was pleasantly surprised by the size of the patty. and the American cheese is the type that congeals just enough to remind you of picnic grill burgers from your childhood. The bun is nothing special, but it is soft and holds up nicely even with the juices of the burger. They do offer a triple... it will probably be the next burger for me. With the part of their skit being No Fries... CHEEPS... I would expect them to not have fries, or not have tasty fries. Unfortunately, that is exactly what I encountered. The fries are thicker cut, but they have absolutely no salt and some were actually cold. They were on the soggy side despite being cooked fresh in front of me. Stick with the chips everyone. This was the first time I ordered the fries and definitely the last time. - Order your food at the counter and then grab a seat. It takes a little bit of time to cook the burgers. They come plain, so then visit the condiment bar for ketchup, mustard, pickles, onion, and relish. If you want the food to go, then start wrapping and packing it up yourself. This ain't a 5-star restaurant for a reason... yet alone a 2 star. But the atmosphere makes up for it all! - If you are having difficult finding the place, remember... it is UNDERNEATH the street. With the craze of the "cronut" sweeping the country, I was hoping it would reach Chicago sooner rather than later. After just a few weeks, sooner had arrived. The West Town Bakery & Diner, along with a couple random doughnut shops in Chicago, had brought the cronut to Chicago and renamed it the "doughssant." This diner, located in the Ukrainian Village neighborhood, is not limited to just bakery items... in fact, they have a full breakfast menu. However, I came with one goal in mind, the doughssant, so I will not be commenting/rating their breakfast entrees. After arriving around 9:30am, I was lucky to see a couple of each of their doughssants remaining. I assume they sell our frequently, especially with the media attention on this doughnut-croissant hybrid. The doughssant is everything I imagined. Buttery, flaky, rich, sweet, heavenly are just a few words can describe this recently invented pastry. Without question I would walk 4 miles for the doughssant. With the amount of calories, I know the 4 miles wouldn't hurt. As soon as I heard the "cronut" had reached Chicago, I knew it was time to make a trip to the West Town Bakery. Their version is called the Doughssant. And if you couldn't guess... it is a cross between a doughnut and a croissant. They have three different options (Left to right) -- Chocolate Raspberry, Coffee Cream Cheese, and Blueberry Lavender. Rather than the typical doughnut ring shape that the original NYC bakery uses, they created a twist on the classic long john doughnut. These rectangular doughssants are made layer by layer just like a croissant and are extra buttery. They are then filled with their respective filling. On first bite, the pastry is much more dense than a typical doughnut, but at the same time is rich and flaky. The consistency reminds you of a croissant, but the creation/taste is reminiscent of the doughnut. It literally plays a trick on your mind and taste buds. They definitely do not skimp on fillings here. The fruit filling is gooey and sugary. The lavender flavor is more pronounced than expected, but is excellent. My favorite was the coffee cream cheese. They pay extreme attention to detail with small chocolate covered coffee beans sitting on top of the doughssant. After trying these, I understand the craze. I mean, who wouldn't want to have a croissant and doughnut... and eat them both too! - Plenty of street parking. Typical "Pay-at-the-Box" style. - Unsure... all I did was order pastries, pay, and leave. So nothing to really complain about. After visiting Little Goat (Bakery) several times, I finally made it out to the Little Goat (Diner). This restaurant is located just a few steps from the now famous Girl and the Goat. Because they do not take reservations here, I have had several disappointing experiences... arriving when the wait is easily an hour or more. Anyway, one late Monday night, my friend and I were seated immediately. The waiter was extremely nice and took the time to explain their beer and cocktail list to us. After combing through all the dishes (yes, breakfast is always available), we finally choose a couple sandwiches. The food was delicious. Complex, yet simple in a strange way. I liked to consider this place as diner food done right. The atmosphere is very fun with a few huge communal tables and of course the coveted booths. Because the wait time can be so ridiculous, I decided to give them a 4.5 mile rating... it was almost perfect, just a little inconvenient for people on a schedule. The description of this sandwich is... "Sloppy Joe Gone Goat." And, that is exactly what has happened. Rather than traditional ground beef, ground goat meat is substituted and cooked in that iconic sloppy joe tomato sauce. It is topped with a rosemary slaw and served in a squish squash roll. The first thought that comes to mind is MEAT. This sandwich is overloaded with ground goat and actually has a pretty strong meat flavor rather than that typical sloppy joe saucy flavor. The slaw is vinegar based and helps cut back the overwhelming meatiness. The bread does a good job at first to support all the ingredients, but in the end, the sauce gets the better half and it becomes soggy. I have had it twice now, and even though it is addicting, I think this time was my last time ordering it. One of my friends decided on the patty meal. She chose the veggie patty rather than the typical beef or the not-so-typical goat patty. This veggie patty was topped with caramelized onions, a couple slices of american cheese, pickles, and the "special sauce" before being stuffed between two slices of pretzel rye bread. Like all other patty melts, it was then griddled until buttery and crisp on the outside. Of course I was gonna have a bite or two of this sandwich. The veggie patty itself was a little on the mushy side. It didn't really hold up like a meat patty, so the sandwich lost some of its integrity. The bread however, was FANTASTIC. The pretzel rye reminds you of a huge pretzel bun without getting too full from being too dense. The other ingredients were standard. I am definitely going to give this a try with a goat patty next time! This visit to Little Goat, I decided on the "Wing" burger. The beef patty is cooked to preference and then topped with buffalo wing sauce, blue cheese, and a handful of fried onions. All of this is stacked on a soft, in-house baked potato bun. I absolutely loved this burger. It reminded me exactly of a buffalo wing minus the chicken. The sauce had a nice tanginess, but it wasn't as spicy as I wished. The blue cheese was both creamy and sharp and those fried onions added the needed textural crisp to the sandwich. Just make it spicier and it would be perfect. Once again, I love how Little Goat meals do not come with fries. Rather, they allow you to choose other sides that you actually want to eat. This time, we decided on sharing the broccoli and cheese puff. It was such a simple dish... steamed broccoli topped with white cheddar cheese and sandwiched between two thick slabs of puff pastry. The dish is very fresh, yet rich from that sharp cheddar. The puff pastry doesn't add much except for extra calories. I prefer just the broccoli. After watching the hawks game, my friend craved a burger. She wanted to keep it simple, so she went with the All-American option and added avocado. This beef burger came with the typical ingredients... lettuce, tomato, onion, pickles, american cheese, a special sauce, and my favorite part, the sesame seed bun. The burger was huge. It reminded me of when my mom used to make hockey puck sized burgers for my brothers and I. I absolutely loved this burger which was cooked a little short of medium. The burger flavor was able to shine with such simple ingredients and not many added toppings. The sesame bun was soft, yet able to withstand all the juices and sauces. This sucker was filling. Their sandwiches do not come with fries (finally, my kind of restaurant!). This allows you to choose whatever side you crave. So after deciding between a list of amazing appetizers, we find out that the fried pickle appetizer was not available for the night. My friend really wanted fried pickles. So we found out that the rest of the fried pickles were reserved for this vegetarian sandwich. The fried pickle sandwich starts off with a piece of seasoned naan and is topped with hummus, roasted peppers, goat cheese, tzatziki, and of course about a dozen fried pickles. The sandwich was extremely flavorful... the goat cheese was rich, there was plenty of tzatziki and the fried pickles were still crunchy and now crispy. And, surprisingly, the sandwich wasn't that oily. I would definitely recommend this sandwich to both meat and vegetarian eaters. Rather than having french fries, we decided on the mac n' cheese as out side. After a couple of bites, she asked if I could taste the goat cheese... and yes that is what was making this side incredible. I have never had goat cheese mac n' cheese before and of course, I would have it the Little Goat Diner. Our waiter said it was actually a four-cheese blend that makes the mac n' cheese so rich. The only main complaint was the topping. It lacked any sort of crust. Instead, literally 12 bread crumbs dusted the top. Pretty awful and poor attempt at a crust, but such a great side I will order it again and again. - One of the best LATE NIGHT restaurants in the city! Do come here after a night of drinking. - Do check out the bakery next door. They have a limited sandwich menu, but they have incredible desserts, breakfast items, and breads. - I wouldn't come during peak hours. This place doesn't take reservations so waiting can be in the upwards of 1.5 - 2 hours, especially on weekends. Whenever I am out near the Oak Lawn area, I find it hard to locate mainstream restaurants. Dive restaurants are much easier to come by. Unfortunately, with dives, there is a huge variety of what you will stumble across. Rito's Coffee, which is a few miles from Advocate Christ Hospital, is an Eastern European inspired restaurant that I recently tried. Upon first entering the restaurant, you are unsure if they actually serve food or just coffee. The room is very warm and only a few tables are seen. The kitchen is non-existent... literally. I don't think they actually cook at the restaurant. It looked like a huge prep station with a microwave oven tucked in the corner. The food was either hit or miss and when it was a "hit," it was still just average. It was hard to even give this place a 2 mile rating, but they did have a light purple soup that was extremely refreshing. I doubt I would ever go back, but if you are in the area... I guess try it rather than settling for Subway. A chilled beet soup was part of my friend's meal. This interestingly colored soup was actually very tasty and refreshing. I personally haven't had too many cold soups, but on a hot day, this one would do the trick. The soup is simple--plenty of macerated beets that are strained and topped with a slice of hardboiled egg and a generous amount of dill. It comes out a beautiful purple color that doesn't seem appetizing, but after tasting, your spoon will keep going back for more. It was very fresh and had a little bitterness to it. I would get this again... maybe with one of their salads for lunch! For my lunch entree, I decided on the chicken bake with quinoa. This meatloaf-like patty is made with ground chicken, quinoa, diced veggies, and is topped with cheddar cheese. It is served with a spinach salad that has sliced strawberries, slivered almonds, and dried cranberries. A light raspberry vinaigrette dresses the salad. Upon first bite of the chicken bake, you realize that is is pre-made and simply warmed in the back kitchen. It was on the dry and season-less side of the meatloaf spectrum. The cheddar cheese on top adds absolutely nothing. The main flavor is chicken and a nutty flavor from the quinoa is appreciated. The salad was the better part of the dish. But, how can you really mess up a sweet, fruity salad. The stewed potatoes had very minimal flavor. If somehow I ended up at this restaurant again, I would probably just order a salad. The homemade coffee cake is a special of the owner's wife. It isn't on the menu, so you have to ask to see if she has a slice available. This yellow cake has an incredible praline and coffee icing. It is topped with shaved chocolate and a little coffee. The dessert isn't too sweet, but you still get that satisfying chocolate flavor. The cake was soft and fluffy. I couldn't really complain , except the cost was a little high for such a small slice. After seeing this interestingly looking dessert, I asked the owner what it actually was. He told me it was their version of baklava, just not as sweet. I am a sucker for a good baklava so I bought a piece for home. After my first bite, I was DISAPPOINTED. This dessert was AWFUL. The phyllo dough sheets were undercooked and tasteless. In fact, biting into this dessert was like biting into thin sheets of tasteless paste. I swear there was no sugar added. I can't believe they actually sell this stuff... or maybe they don't since the display was still full of this poor-excuse of a pastry. Do not order! - Do try their beet soup and salads. I think these simple items are the better options at their restaurant. - Do support this "mom and pop" cafe. It is better than Subway next door, but a little on the pricier side. - I wouldn't try all their desserts. And DO NOT try their "baklava". It is awful. A little over a decade ago, one of Chicago's iconic firehouses was converted to a restaurant. This south loop establishment brought a fine dining experience to this neighborhood. Featuring steaks and seafoods for dinner, it can be a little pricey for many. But, their lunch menu offers a portion of their menu for a more reasonable cost. After attending the CHICAGO BLACKHAWKS STANLEY CUP RALLY, a few of my friends and I decided to refuel at this restaurant. The portion sizes are generous and the atmosphere is simply beautiful. They have a gorgeous outdoor patio that removes you from that city feel. Unfortunately, when it comes to service, I was a little disappointed. Our waitress was on the slow side, both on taking orders and simply bringing us our check. She wasn't very friendly to our table for some reason when compared to the other tables she was covering. The food was all pretty good, but some of it came out cold or not prepared to preference. For those reasons, I could only give them a 3.5 mile rating. Maybe their dinner service is better? I was excited when my friend wanted to split two of the sandwiches. My choice was the CFH Burger. This burger is cooked to preferred temperature and was topped with sautéed wild mushrooms, caramelized onions, applewood smoked bacon, and your choice of cheese. We chose the aged cheddar cheese and the burger requested at a medium rare. When it arrived at the table, the burger looked great. The cheese was melted and all the ingredients were well-supported by the dense bun. Unfortunately, the burger was overcooked. It was closer to medium-medium-well rather than the medium rare we requested. Luckily, the burger was still moist and was great beef quality. The bacon was thick cut and the cheddar cheese added a nice sharpness to the burger. It came with thick cut french fries that I really enjoyed. Good size meal! After scanning the menu, she decided on the turkey club sandwich. It sounded amazing. The sandwich was a triple decker made with wheat bread and filled with generous portions of turkey breast, applewood smoked bacon, arugula, tomato, and a lemon dijon aioli. This sandwich reminded me of Thanksgiving leftovers. The turkey is thick cut (definitely not deli-style) and all the vegetables were fresh. The bacon was disappointing because it was more of a soggy mess than crisp. And, for being so generous on the turkey, they were kind of stingy on the lemon dijon aioli, which was disappointing. This sandwich is definitely big enough to share, especially if you split an appetizer or order a cup of soup. Unfortunately, the fries on her plate were on the cold side... I bet the used an older batch. Once again, perfection was not met. - Definitely sit outside! The patio area looked beautiful; unfortunately, we didn't realize that until after we sat inside. My fault. - Prices at lunch are very reasonable when compared to their dinner options. - Service is a little slow, so don't be in a rush. If you are looking for a great patio during a hot summer day, I would highly suggest Prasino. This restaurant, located in the Wicker Park neighborhood, is a great place for smaller plates, bottles of wine, and wonderful outdoor seating. The staff is friendly, but not as informative as I would like. When asking recommendations on wine, the waitress was not only unsure of which bottles they had, but also knew very little about wines except for the price. It is a little strange when they recommend the most expensive wine for each grape type. Anyway, after the food arrived, I was pleasantly surprised with both tastes and portion sizes. I mean, an appetizer and two flatbreads was plenty for two people. 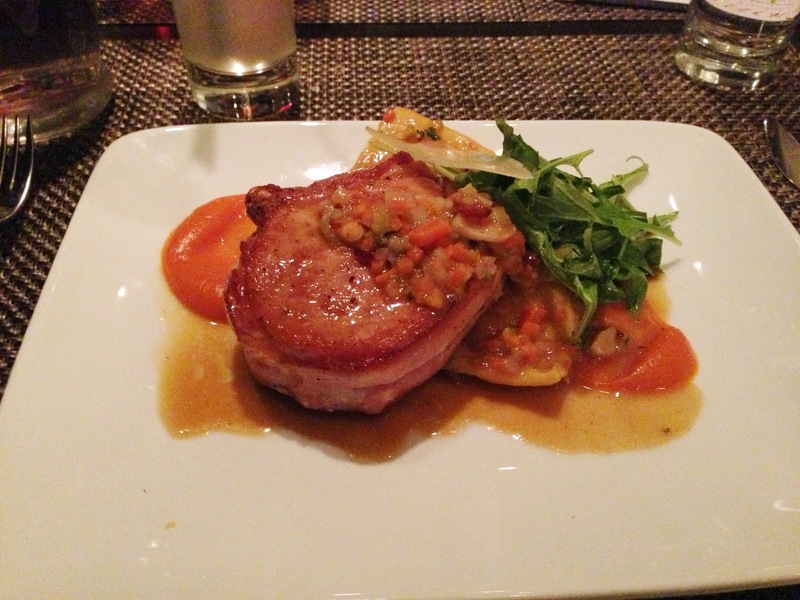 Each dish was beautifully plated, but each dish also had a flaw that was difficult to forget. And, for that reason, I decided a 3.5 mile rating would be fair. But still, if it is sunny, and you want to day drink, Prasino is a great place to grab a bite to eat and get your day started. The lobster avocado is Prasino's signature dish. It is half an avocado that is topped with a generous helping of lobster, a mango salsa, and covered with a chili beurre blanc. I found out my friend has never had lobster before, so after her first bite, I was interested to see what she thought. And just like I thought, it was incredible. The lobster was fresh and added an underlying sweetness that contrasted the chili beurre blanc (which is a white butter sauce). The avocado added the creaminess and the mango salsa gave a freshness to the dish. I really enjoyed this appetizer and recommend it to everyone! Probably the most simple appetizer on the menu was the hummus. The hummus is made fresh in house and served with slices of pita bread and a variety of mixed vegetables. My first impression was awful. The hummus was extremely dry and flavorless. After a couple more bites, the dish opened up to me and was actually addicting. I preferred dipping the carrots into the hummus. I probably wouldn't order this hummus again, but it wasn't awful. Customers at the neighboring table suggested the farm flatbread, describing it as a pizza that will overwhelm your tastebuds. The farm flatbread consists of a whole wheat crust topped with a cheese blend, chopped chives, and a truffle honey. The crust was crisp on the bottom and thick enough to make the flatbread more filling. The cheese blend was delicious (unfortunately I do not know all the cheeses used). But the secret is that truffle honey. The sweetness against the sharp cheeses was an amazing combination that made me crave more and more. Another dish a highly recommend! The other flatbread we decided to try was the Margherita. I mean what else goes well with a bottle of wine and a nice sunny day? This flatbread had the same whole wheat crust, but was topped with pesto, mozzarella cheese, basil, and halved cherry tomatoes. I did not like this flatbread at all. The pesto was too strong or maybe just laid on too thick. The cheese didn't add anything... I mean, shredded mozzarella? I wish they used fresh sliced mozzarella. The tomatoes were sweet, and I enjoyed the nice chunks by just halving the cherry tomatoes. Spend your money on a different dish. With the leftover balance on my Gilt City voucher, I decided to order a couple of sandwiches "to-go". The first was the chicken caprese sandwich. This sandwich was made with tomato basil focaccia and filled with a grilled chicken breast, tomato, arugula, mozzarella, and pesto. Once again, the main flavor was pesto because they are very heavy handed on the sauce. I think it would be significantly better if they used half the amount. The chicken was moist and the other flavors were good (well, for what I could taste of them). It comes with a side, which I chose the mini beat salad. The salad was on the dry side. A lot of vinegar was at the bottom of the container, but for some reason, the veggies were dry. I probably wouldn't get this salad again. The other sandwich I ordered "to-go" was the Pork Belly BLT. Now this is a sandwich! Two thick cut slices of country style bread was generously filled with thick slices of pork belly, arugula, tomato, and a jalapeño gastrique. They skimped on the guacamole, which was basically absent. I absolutely loved the flavor of the pork belly. It seemed to be cooked with balsamic or some kind of sweeter sauce. The jalapeño gastrique shined! It added a slight spiciness to the sandwich. The bread was wood grilled so it had that char flavor to it. The side I chose for this sandwich was the truffle potatoes. These were fingerling potatoes that may be tossed in a truffle oil. I couldn't really get that flavor, but oh well. Dip them in ketchup and move on. I just really don't like their sides. For dessert, the chocolate mousse cake was the no-brainer. The mousse cake was lightly coated in a solid chocolate shell. It was drizzled with a little raspberry sauce and topped with fresh raspberries. That combination is one of my favorites so I loved it. It was extremely rich, so sharing is a must. - Do look for Groupon or Gilt City deals. We found an incredible Gilt City deal which cut our bill essentially in half and included a bottle of wine! - Do sit outside. The patio is incredible. It has a private feel for being in the middle of a side walk. - The sides are not worth ordering. In fact, they are pretty awful. - Don't miss out on the Lobster Avocado. It is that good! Bistronomic tries and succeeds in bringing a cheaper, yet high quality French restaurant to the city. They offer different sized plates--some that are appetizer-sized, some for sharing, and some for eating on your own. Right when walking into the restaurant, the atmosphere feels like home. Chalkboard specials are seen above the bar and the waitresses with French accents roam the floors. We came on a Friday night and the place was full. The food is authentic French and reminds me of restaurants in Paris. 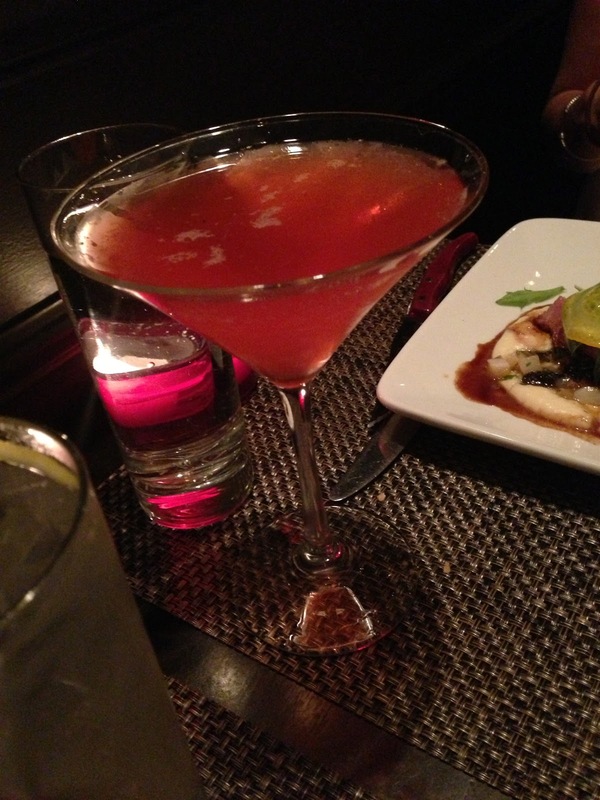 I was impressed with everything I ate and enjoyed the restaurant atmosphere. Bistronomic may have taken over as my favorite "fairly reasonably priced" restaurants in the city. I will recommend it to everyone. The only reason it didn't get a perfect rating was because of the disappointing dessert (it tasted great... but you will see if you read below). I believe Bistronomic is one of Chicago's hidden gems for brunch. This restaurant is almost impossible to get into on weekends for dinner, but there is plenty of room for brunch... even without reservations. The staff is extremely friendly, especially since the lack of crowd gives each table more attention. The menu is extensive with french classics--crepes to sandwiches. And just remember, don't forget to order dessert! I went ahead and chose this classic French sandwich. The croque madame was made with thick cut toast that is egg battered and griddled. It was filled with Nueske's ham, gruyere cheese, and topped with a fried egg. The sandwich is triple decker, so it is HUGE! It was served with a side of french fries and a little arugula for garnish. The sandwich itself was extremely rich. A little too much butter and too much cheese for some of my family, but for me... I loved it. The bread had a nice crispy crust, but was still soft, almost French toast consistency. The ham was thick cut and plentiful. I did wish there was a little more freshness... maybe substitute a side salad for the fries. This was one of the most interesting desserts I have had in a while. A poached pear is chilled and dipped in chocolate. It is served dusted in cocoa powder, topped with slivered almonds, and accompanied by a scoop of vanilla ice cream. Upon first impression, I was a little disappointed. The pear was cold and a little hard to eat--actually very difficult to share. But after a few bites, i realized the complexity of the dessert. Plenty of chocolate flavor throughout and an amazing, creamy ice cream. It was addicting. My spoon kept going back for more. The other dessert we decided to share after brunch was the banana nutella bread pudding. I mean, who doesn't like this combination? The simple bread pudding was made with plenty of bananas and topped with a generous helping of nutella. It also had a vanilla cream sauce and a side of caramel. This was a little on the TOO SWEET side for some, but once again, my sweet tooth had me hooked. The dessert was soft and served hot. I did wish there was a scoop of vanilla ice cream on this one. My friend and I decided to start off with a "medium plate" to share as an appetizer. She also loves mussels so it worked out great. The dish was different from most restaurants... instead of a typical white wine sauce, bistronomic cooked their mussels in a basil puree (with of course some wine too). They added toasted baguette slices on top, which were just asking to be dunked into that amazing green sauce. The overall size of the dish was great. It could have definitely served as someone's meal if they wanted. I suggest using the little fork to loosen the mussel from the shell and then slurp it out. If you are trying to be more "proper" then I guess dunking the mussel into the sauce would also be appropriate. Don't forget to let those baguette slices soak and soften up... but be aware, the sauce does seem to get saltier as the meal goes on. Whenever I dine at French restaurants, I always want to try the duck entree. And once again, we agreed to share these larger plates, so I was able to try a couple! 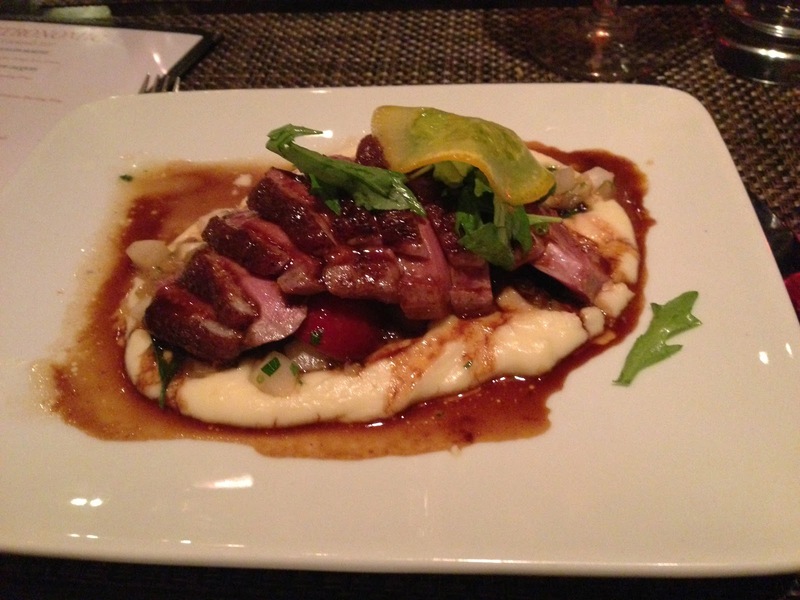 The pan roasted duck breast was cooked to a perfect medium rare and then glazed in a plum sherry reduction. It was served on a bed of mashed potatoes with extra sauce throughout the dish. It was "unreal." The duck breast was extremely moist (unlike other places) and tender. The entire dish actually reminded me of the pan roasted duck breast I enjoyed while staying in Paris. And, just like then, I couldn't get enough of it. I do suggest getting as much sauce on the duck breast and potatoes all in one bite! One of my all time favorite desserts is Baked Alaska. I remember eating it when I was younger... and then searching for years without finding it. When I found out bistronomic serves it, this restaurant moved to the top of my "upcoming restaurants to eat at" list. The dish is an ice cream based dessert topped with sponge cake and a meringue that is toasted. The ice cream doesn't melt because the meringue is burnt real quickly. Now for the disappointment: I understand that not all of them are flambéed at table side... but I was disappointed when the baked alaska was not lit on fire at our table. The meringue was toasted though... but I just had some high hopes for the fire. Hopefully I can find a place that flambés it. 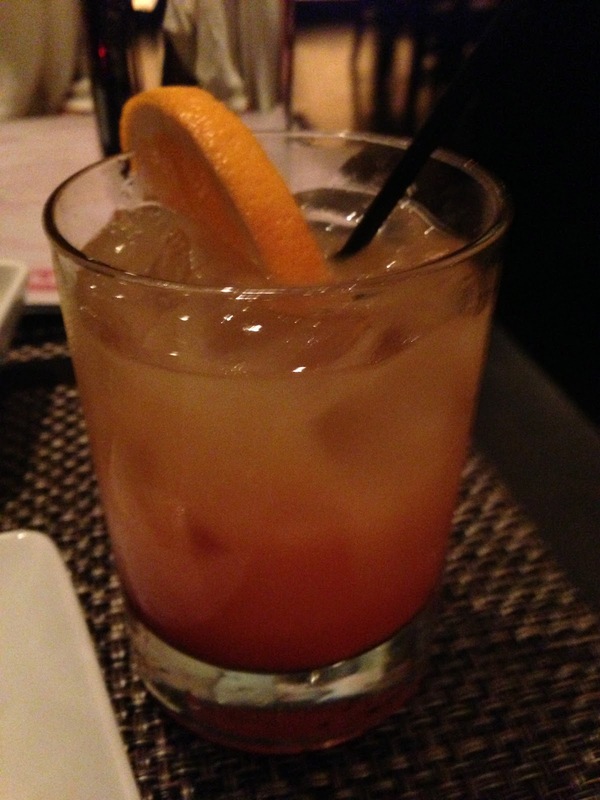 The old fashioned was just another staple cocktail that most restaurants make well. Here they used templeton rye. The orange flavor was nice and subtle. Just a good cocktail to start off the meal. Here is one of their restaurant cocktails. Campari is a bitter and this drink when mixed together tasted sort of like blood oranges. It also had St. Germaine and sparkling wine mixed in. I thought it was a little too bitter and artificially tasting but it was still ok.
Once again, another cocktail that we decided to try. We ended up trying one of each, but I forgot to take pictures of them all. I do not know much about rating cocktails so I guess the ingredients would help. 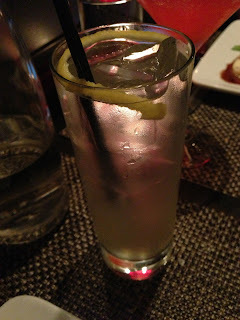 It had Bombay Sapphire Gin, Lemon Juice, St. Germaine, and Sparkling Wine. - I suggest skipping the smaller plates and sharing medium plates for appetizers. I was looking around the restaurant and the medium plates all looked amazing. - Definitely make reservations. It is a pretty popular restaurant lately. - Sorry if I mixed up the drinks... so Don't be mad if you order one of the one I mentioned and got a different looking drink. It gets harder to remember after having a couple.